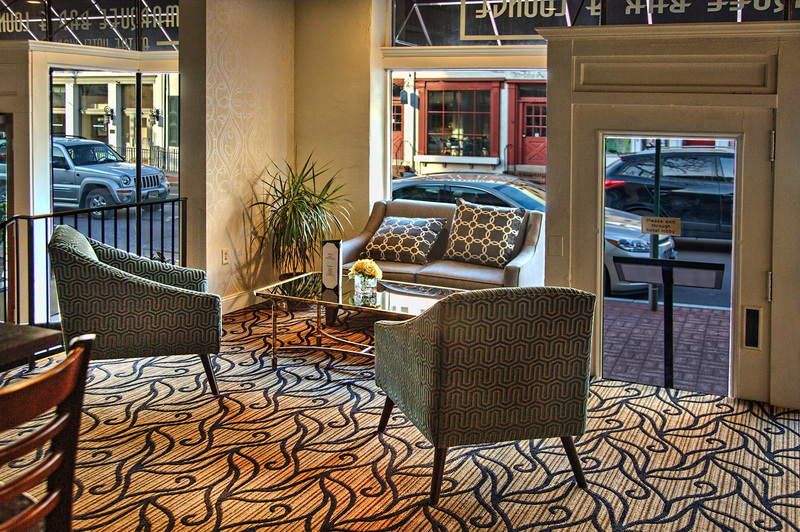 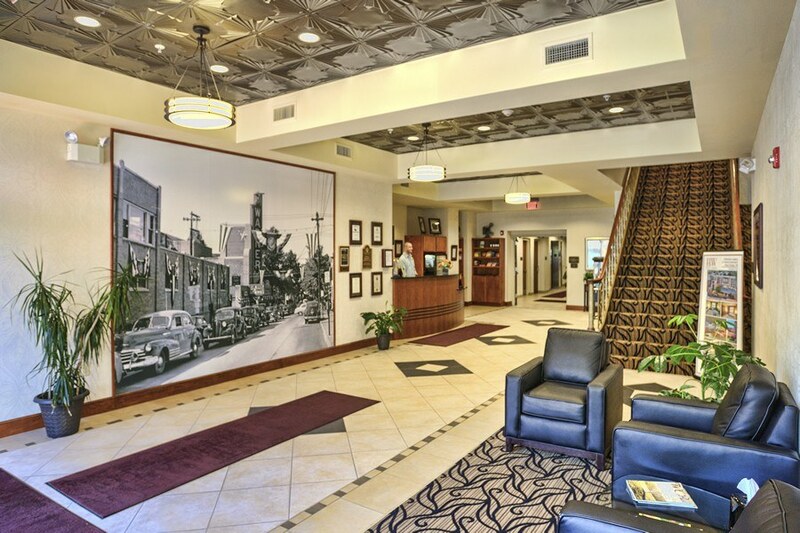 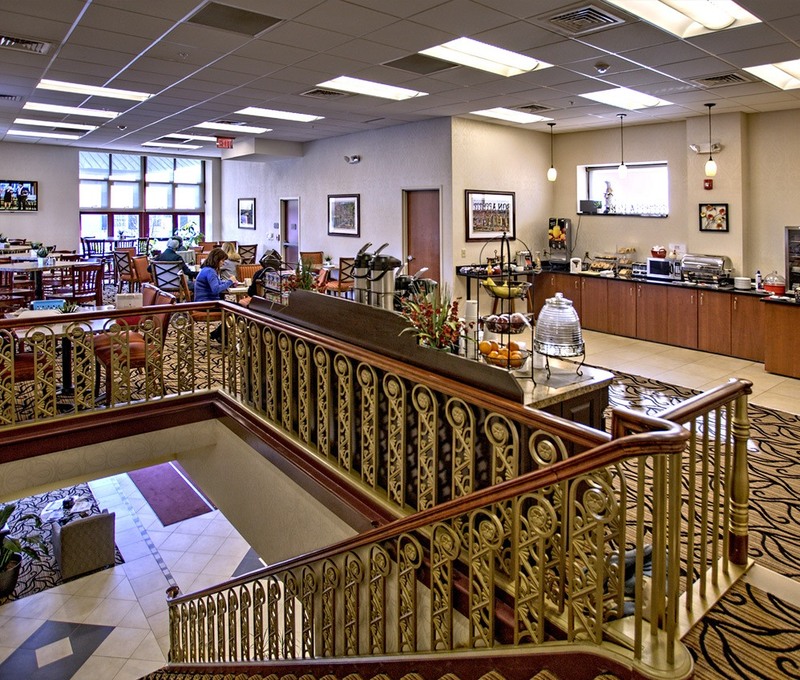 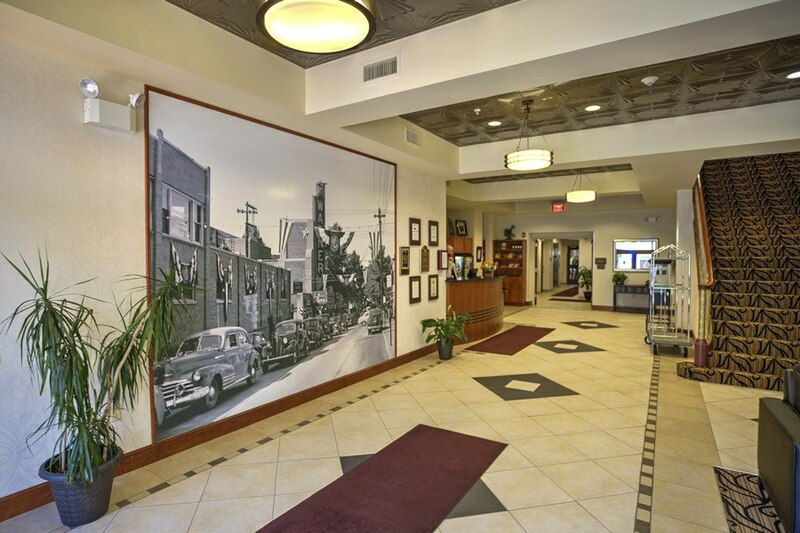 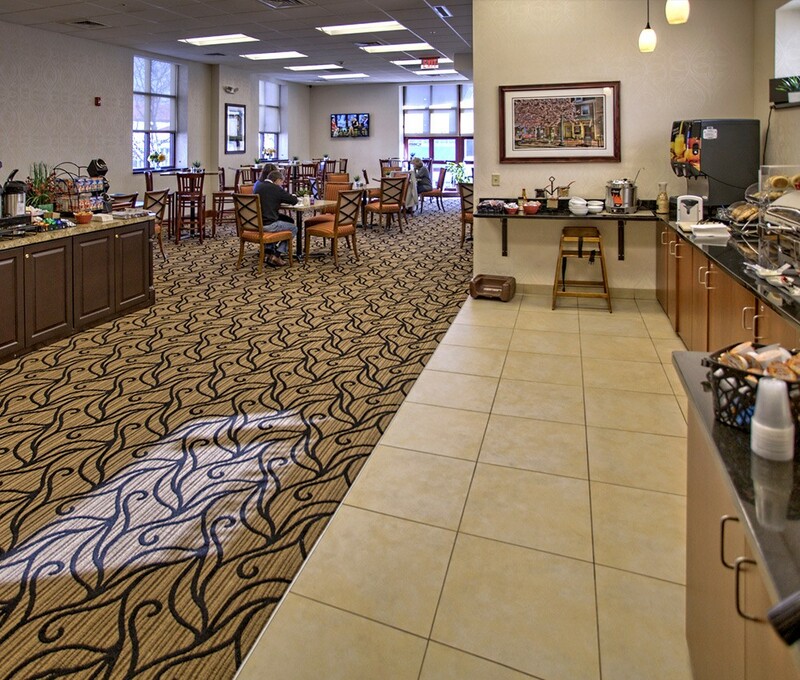 The lobby area includes a reception desk, gift shop area and lounge seating. 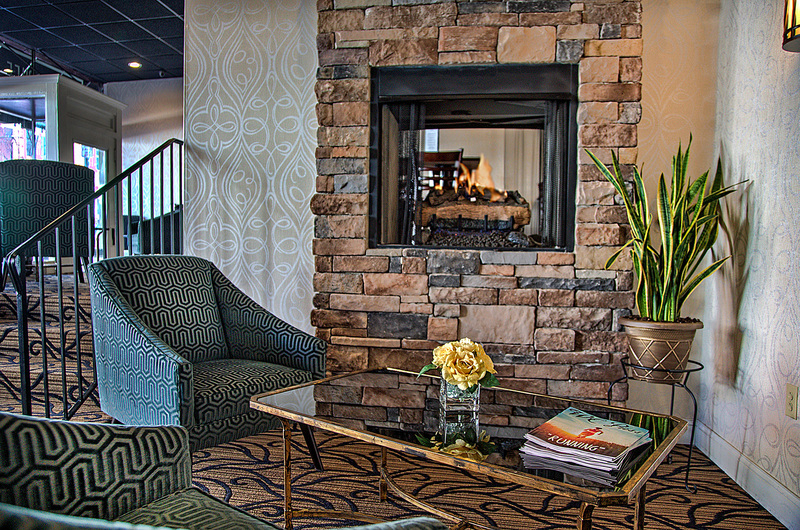 A fireplace with comfortable seating enhance the relaxing atmosphere of the Marquee Bar and Lounge. 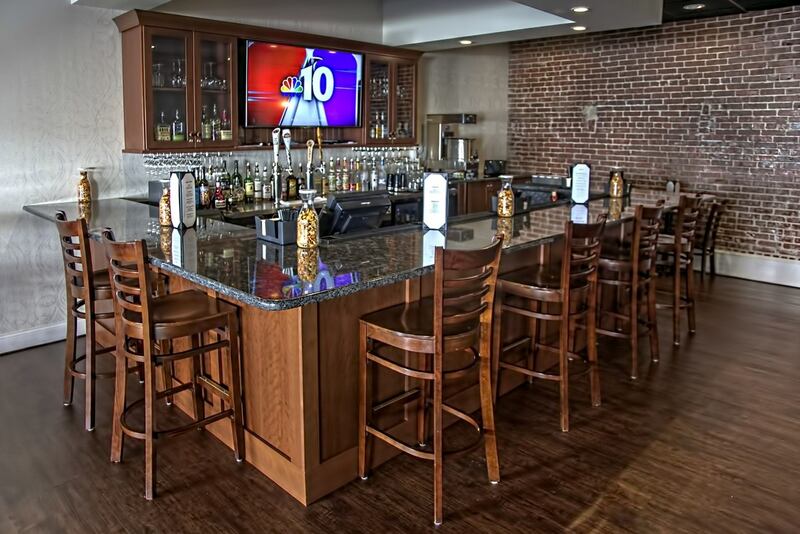 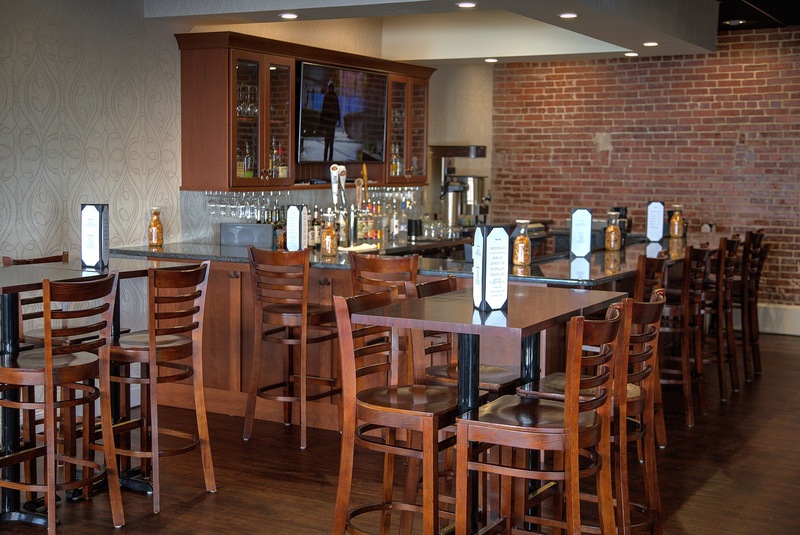 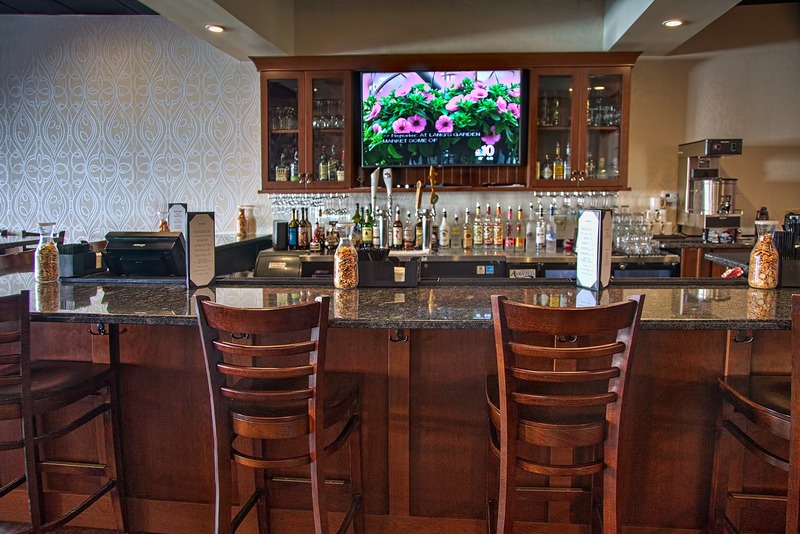 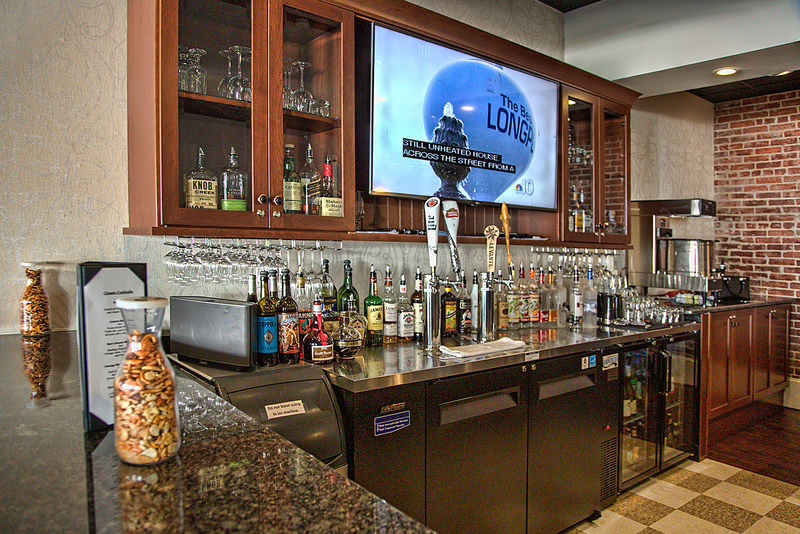 High top table seating in the bar area make it a great place to grab a bite to eat and enjoy a cocktail. 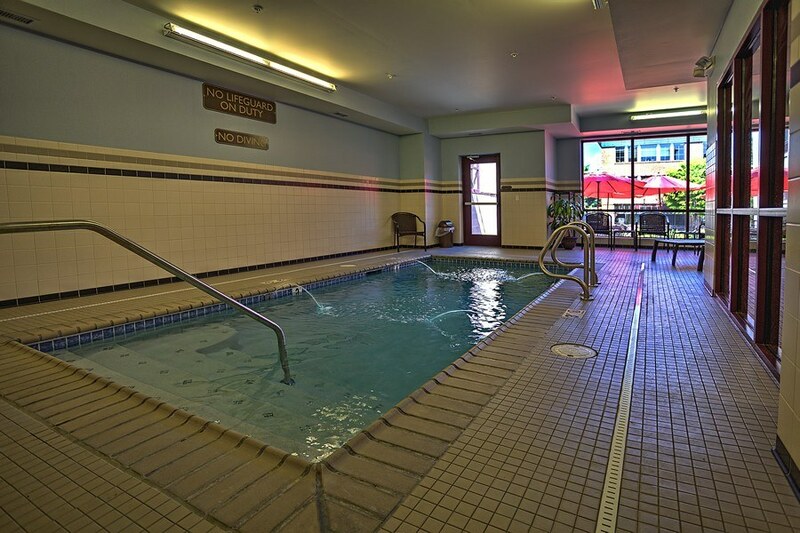 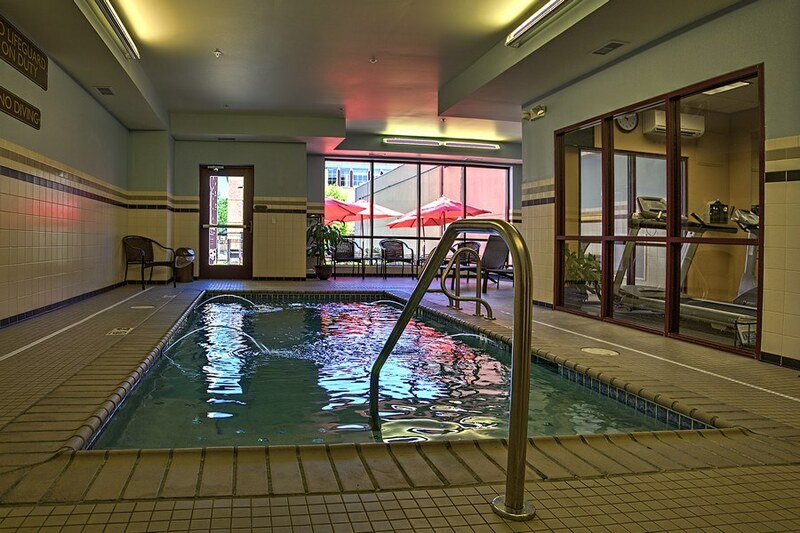 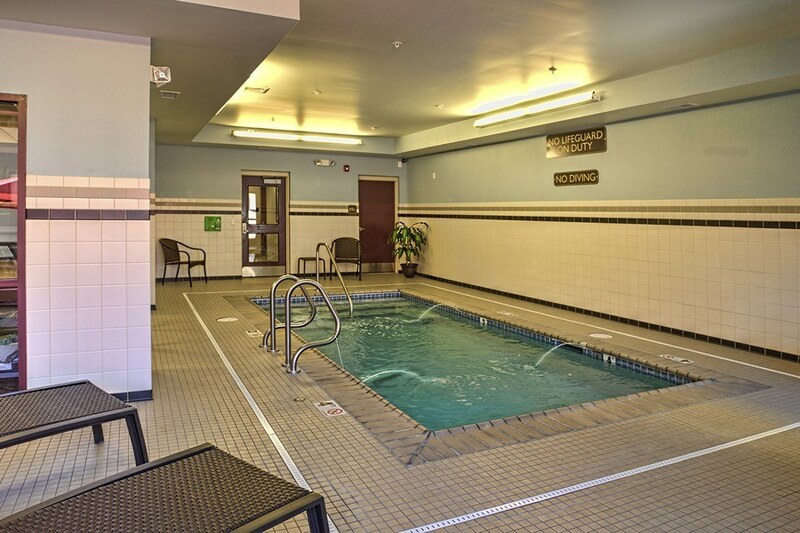 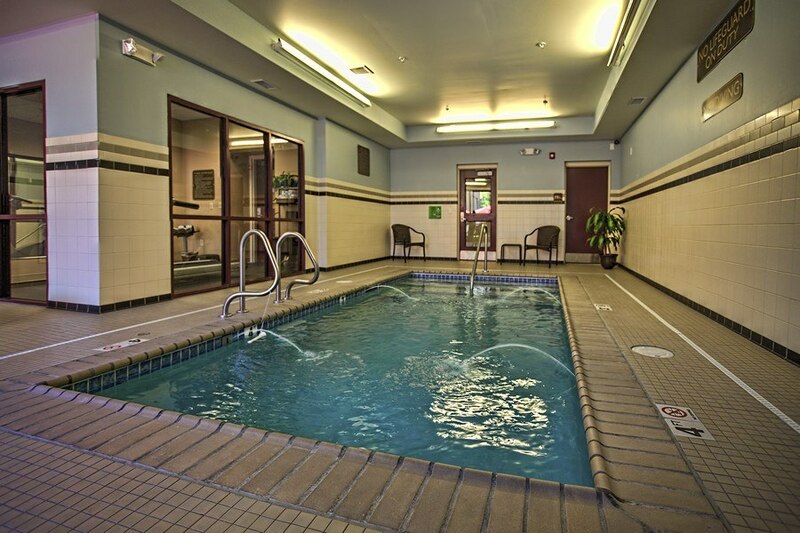 There is also a pool and exercise room on the ground floor. 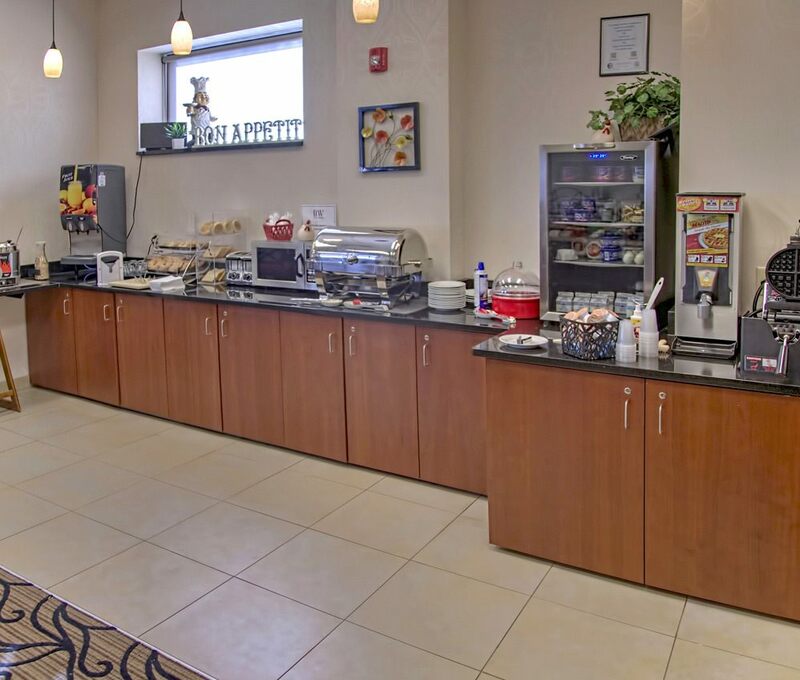 The breakfast area is located on the second floor. 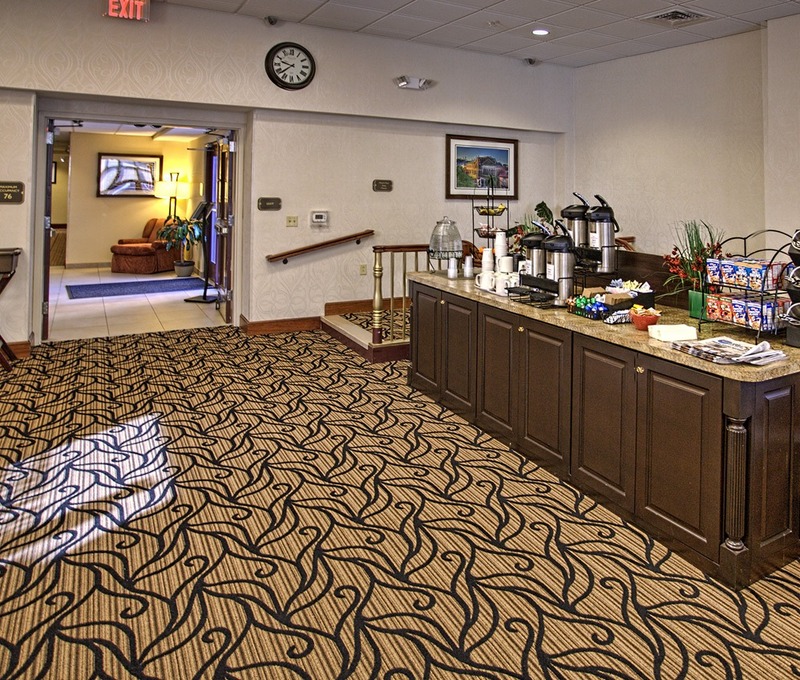 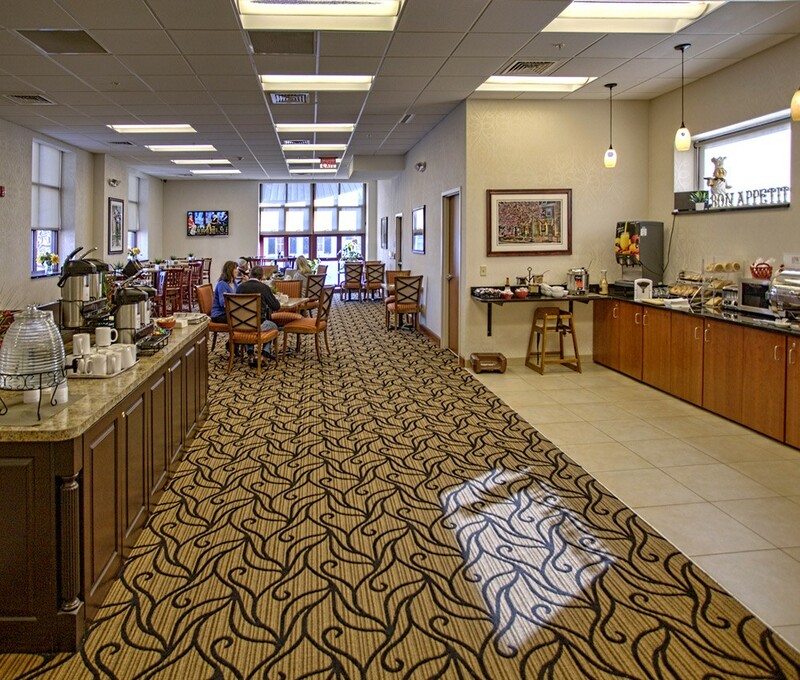 This spacious area includes tables and a buffet where a hot breakfast is served.